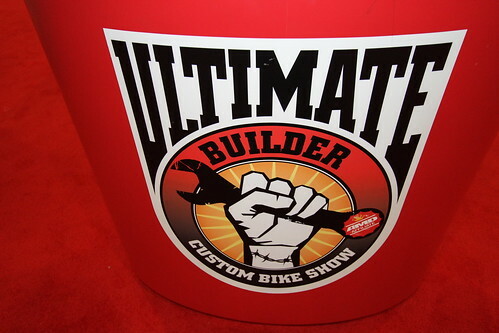 The NY edition of the Ultimate Builder kicks off with 2 successful entries from DC heading North to showcase their talent in the Big Apple. Jason Bochniak’s Phoenix is a chromed-out sled with competition grade Pro Charger, D&D Boarzilla Pipe, Headwinds lighting system and Avon gangster white walls. 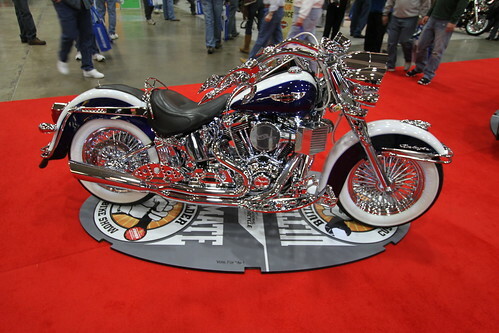 The 2006 Harley Deluxe rocks it with 50 spoke Fat Daddy wheel with chrome supplied by Freedom Cycle. Shwan Page rolled Brooklyn’s Finest into the 2011 Ultimate Builder. 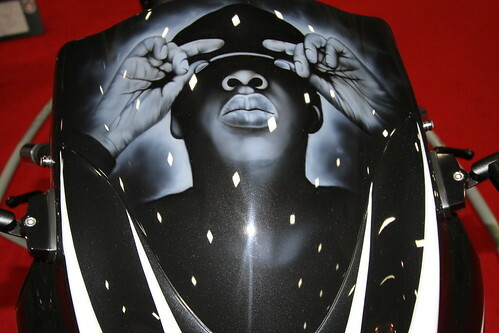 JR Customs painted the 2007 Suzuki Hayabusa and the shiny metal work was completed by 2 Wheel Customs. Gary Maurer of Kustoms, Inc. brought in the “No Reservation” bike. This is just one of the many quality bikes from the Detroit round. It was a pleasure to see many of the builders standing by their bikes and talking with the crowd. 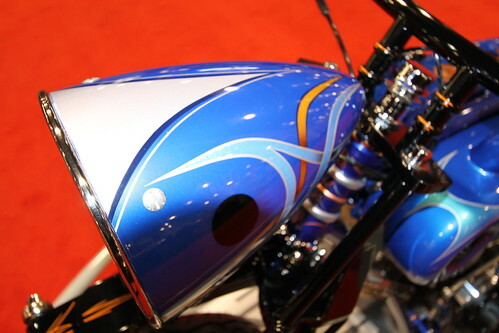 After poling a few of the custom bike builders we found out that a couple of them had lined up projects with attendees of the International Motorcycle Show. International Dealer News is proud to announce that the acclaimed and much sought after motorcycle industry ‘Big Book’ is now available for dispatch! Five years after the last IDN ‘Big Book’, the all-new ‘Moto Big Book’ features worldwide manufacturer, brand owner, importer and distributor data from all sectors of the global powersports industry, and from all possible countries. From January 2011 all existing subscribers to ‘Moto Big Book’ will also receive free membership of IDN’s exclusive and all-new suite of on-line search tools, giving them 24 hour, 52 week, 365 day a year remote access to the latest year-round data updates. 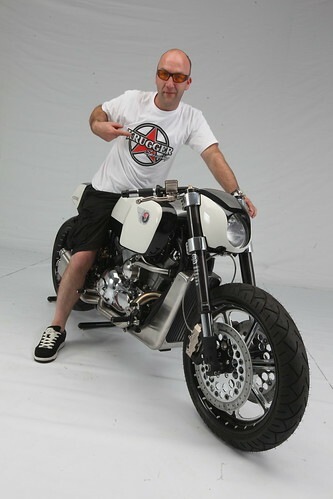 Freddie ‘Krugger’ Bertrand is now wearing the World Champions’ ring after being named the 2010 AMD World Championship of Custom Bike Building. 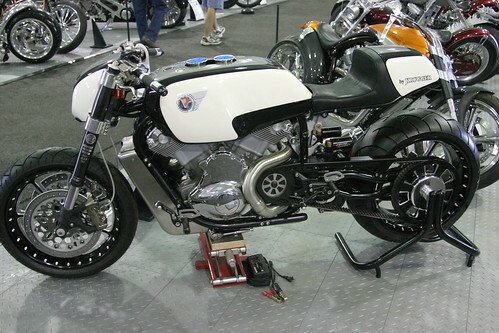 The bike with which he claimed the title was built for Veon Motorcycle’s owner Peer Toftner and features a unique electronically adjustable frame. At the flick of a switch the V-Rod engined bike can be transformed from a low-riding cruiser with long rake to sport bike mode with a shorter wheelbase and steeper rake. The radical machine even has two sets of foot controls to match each style of riding. Well it’s finally here, the 70th annual gathering of bikers where the (Black) hills are alive with the sound of full-throttle engines, plenty of music, and an estimated half million bikers and their friends from around the world. This once-a-year gathering runs today through Sunday in Sturgis, S.D., and is hands down the biggest biker bash on the planet. Yes, Harley is my real name. And no, there’s no relationship. But I do enjoy riding Harley-Davidsons, which comes in handy as the Cruiser & Custom Editor of Motorcycle USA. 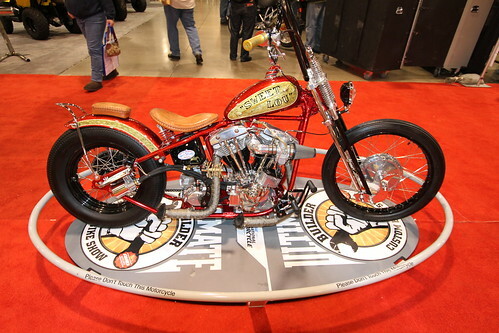 We ended the day at the preview party for the 2010 of the AMD World Championship of Custom Bike Building. The first person we ran into was our friend from Medford, Oregon, Mark Daley of Thunderstruck Customs who is entering a bike in the show. It was good to see our buddy Jim Guiffra of AFT Customs, too, who of course had the AFT girls there getting their feet wet in the broadcast journalism field by interviewing custom builders for a TV project they’re working on. The very best custom motorcycles in the world can now be seen in Sturgis at the 7th annual AMD World Championship of Custom Bike Building. Located at Lazelle and 3rd, the World Championship offers the general public, riders and motorcycle industry leaders the opportunity to view examples of the very best in design and engineering excellence in the custom motorcycle industry. Open daily from 10:00am through to 6:00pm every day until Wednesday, the World Championship will culminate on final day when the 2010 World Champion is announced at the award ceremony, which begins at 3:00pm. 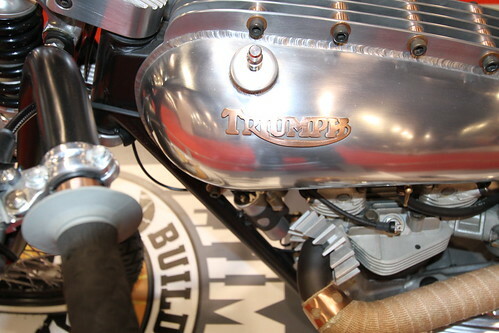 The builder of the motorcycle judged to be the best in the world in 2010 will receive the World Champion’s gold and diamond ring as a part of the prize package.